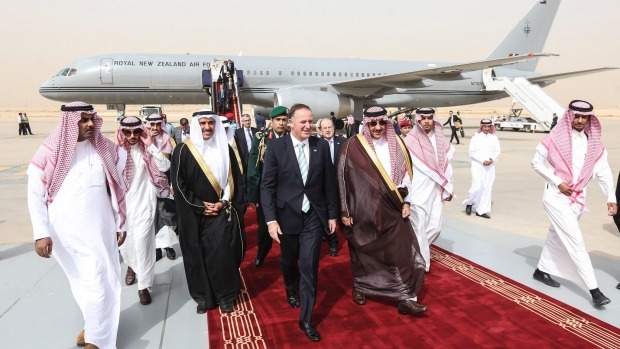 Answering a question regarding the reasons behind New Zealand’s absence from Saudi Arabia in the past, Key said that this was a result of a diplomatic legacy, though noted his previously scheduled trip in 2010 had to be cancelled due to a military plane crash. Recently, New Zealand has developed strong trade relations with neighbouring Asia, but the GCC now represents the country’s fifth biggest trade market. One important item on Key’s agenda was attempting to push through a Free Trade Agreement (FTA) with the Saudis. Key said other countries had been in a similar situation, such as Singapore which implemented an agreement last year. New Zealand-Saudi Arabia trade is worth about U.S. $1.2 billion annually, with two-thirds of that being New Zealand imports of chiefly hydrocarbons. Eighty per cent of Saudi Arabia’s imports from New Zealand comprise the country’s well-renowned meat and dairy products. New Zealand exports to the GCC have grown about 10 per cent year-on-year over the past decade, underscoring the region’s significance to the small Antipodean country of four million. 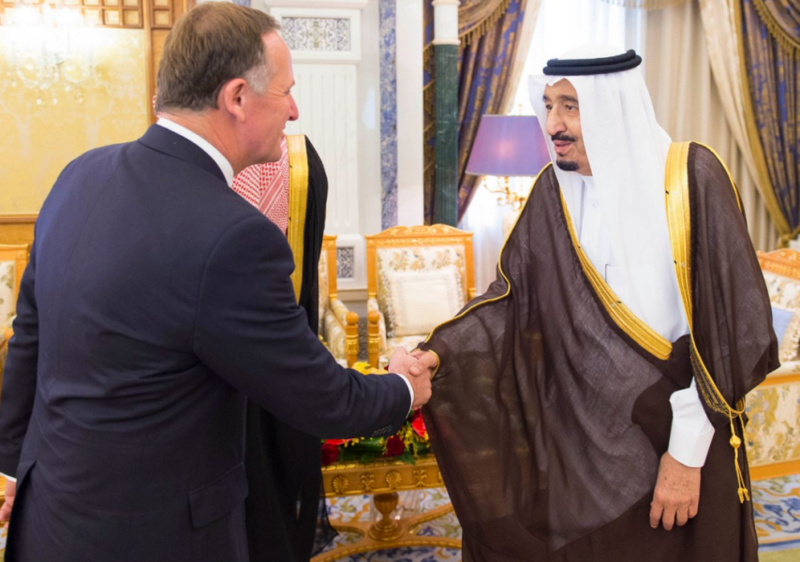 Among all GCC nations, the Saudi market is of particular significance to New Zealand. Key, who was re-elected in a landslide victory for a third term last year, also promised to spend an increasing amount of time in the region. 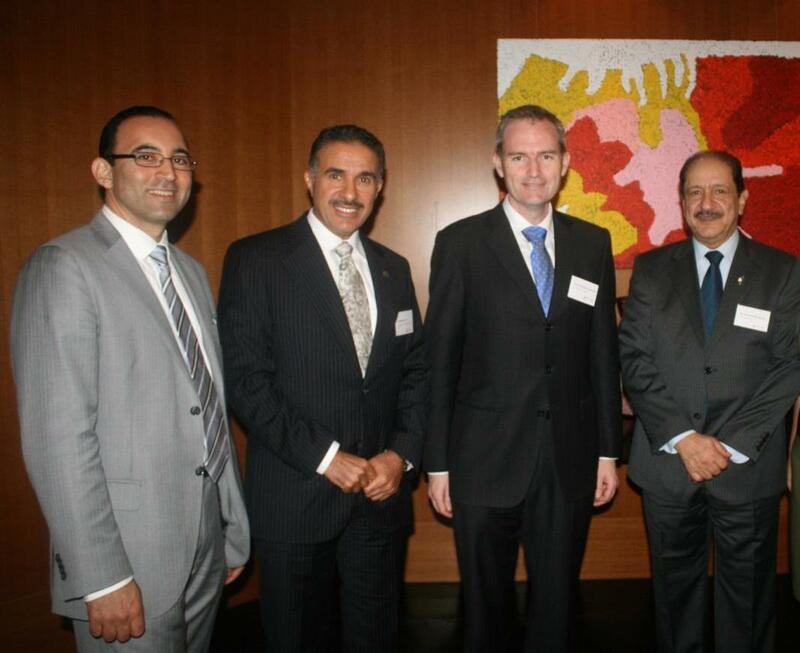 The Ambassador of Saudi Arabia to Australia and New Zealand His Excellency Nabil Al Saleh met with the Hon. 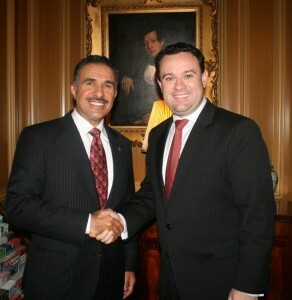 Stuart Laurence Ayres, MP Minister for Trade, Tourism and Major Events, and Minister for Sport in the state of New South Wales to discuss ways of enhancing economic trade relations between the two countries. Minister Ayres noted the significant amount of investment opportunities offered by Saudi investors and Australian companies in their respective countries. The state of New South Wales and its capital, Sydney is one of the largest and most productive Australian states on economic growth and tourism levels. It currently holds approximately 20% of the entire population of Australia at about 4.8 million people. A Luncheon was hosted at the Four Seasons Sydney for the Ambassador of Saudi Arabia for Australia and New Zealand, H E Nabil Al-Saleh and the Saudi Member of the Shura Council, Usamah Al-Kurdi, by the AACCI NSW Chair, Mohamed Hage. He briefly spoke at the event, which spoke about high level engagement opportunities between the two countries. The event was also attended by the Member of Banks, The Hon David Coleman MP and 24AACCl’s handpicked guest, to ensure a conversation that was candid and informed. The Hon Mr Al-Kurdi is the President of Alagat, a business-consulting firm based in Riyadh and a member of Saudi Arabia’s Consultative Council (Majlis Al-Shura). He serves as a Board Member of Saudi Arabian Airlines and an Executive Committee member of the National US-Arab Chamber of Commerce. 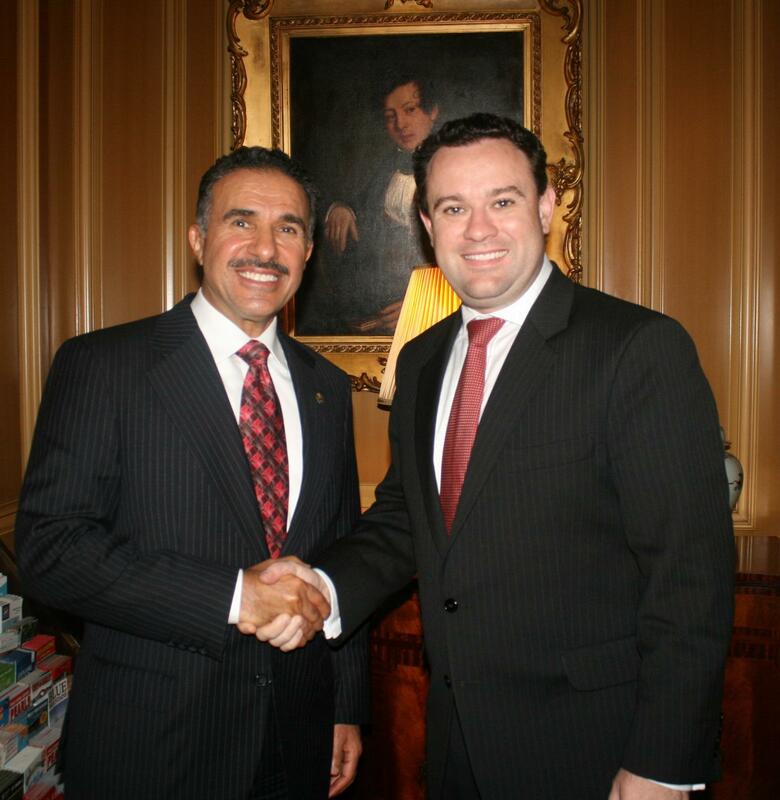 As part of the Shura Council, he is a Member of the Economic and Energy Affairs Committee and the Chairman of the Saudi-American Friendship Committee. From 1990-2001, Mr Al-Kurdi served as Secretary General of the Council of Saudi Chambers of Commerce, as well as Vice President of Saudi Consulting House, a forerunner of the Saudi Arabian General Investment Authority (SAGIA). As Saudi Arabia becomes increasingly influential and accessible, the opportunities for Australian companies to enter the market are opening up. Saudi Arabia continues to cement itself as a global and diversified market. Saudi Ambassador to Australia Mr. Nabil Al Saleh opened the “Investment Opportunities in Saudi Arabia and the Middle East, Conference on Thursday June 4, 2015 held in Toowoomba, Queensland, Australia. 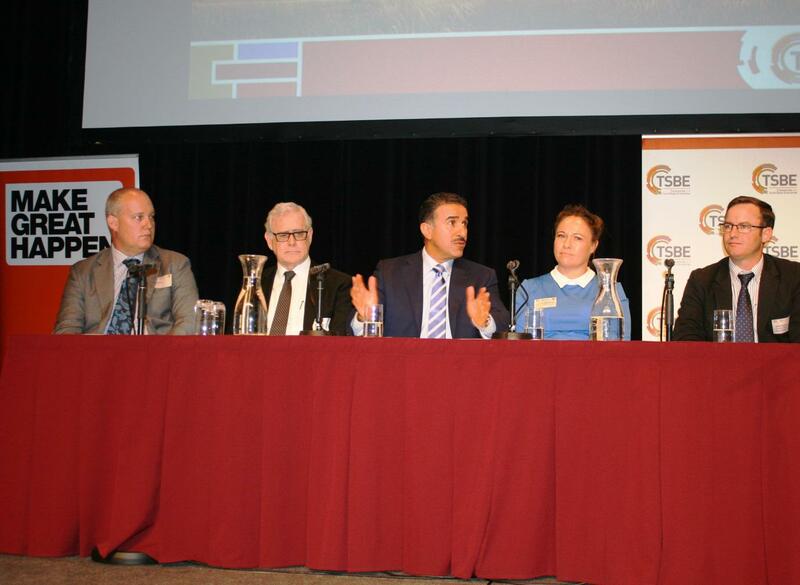 The event was organised by Australian Arab Chamber of Commerce and Industry in conjunction with the Toowoomba “Sirat Bison” Business Group. The conference was attended by more than 150 people, including senior businessmen and investors in the oil and mining, agriculture, education, legal, technological and service fields in Australia. In his speech the Ambassador thanked the organisers for hosting the event and enlightened the atendees as to the current development and expansion of Saudi Arabia and its resources. “The Kingdom is now the 19th largest economy in the world, the single largest economy in the Middle East and North Africa region with a GDP worth 752 billion dollars and representing 25% of the entire MENA economic output. “It is now recognised as the third fastest economy in the world with an annual average growth of 5 % over the past decade. Only preceded by China and India. And in recognition of the Kingdom’s growth and stability, Fitch Ratings agency upgraded Saudi Arabia to “AA” demonstrating the Kingdom’s financial stability and high credit quality. Ranking Saudi Arabia 7th within the G20. The Ambassador also discussed with attendees the booming investment opportunities emerging in the Kingdom of Saudi Arabia. ¼ of the world’s oil reserve and a current output of just over 10 million barrels per day. “We have the 4th largest gas reserve in the world. As well as a richness in a wide array of minerals. “Furthermore, we are committed to increasing our production capacity of Petrochemicals to reach 100 million metric tons per annum by 2015. “This, in turn, would make the Kingdom the third largest global exporter of petrochemicals. The Ambassador closed his speech by inviting investors to establish business projects in Saudi Arabia and enlightened them as to the mutual benefits such projects would achieve. “For a very young country, its transformation has been astonishing. But all of you in this room are an important part of this. You create jobs. You take the risks to create the opportunities and better the future of yourselves and both of our countries. “With this in mind, and the economic progress achieved in the Kingdom thus far. “It is worth noting that the Kingdom continues to foster a progressive investment environment.